On this day three years, we adopted our kitty Smudge from the Atlanta Humane Society. Full of energy and personality, she is one fun fur kid. I have lots of interesting photos of Smudge, but here is one of my favorites from a few months ago. Happy Smudge Day! I’ve noticed how often I wondered what others would think before I took an action or made a decision. In the past, there have been times when I felt addicted to wanting approval from others before moving forward. My husband is reading a book that makes the distinction between choices and decisions. The author says CHOICES are made from the heart, while DECISIONS are made from the intellect. I’m learning to trust my choices and have quit making decisions by committee. I gather information from a variety of sources (including my gut) and then choose. I’ve given up feeling I need to do what someone else thinks just because I asked for their opinion. It is a journey for me and I’m aware now more than ever of the choice I always have to speak my truth in love. I’ve heard several times recently that the only time someone will accuse you of being selfish is when you don’t do what THEY want. That is an eye-opening perspective for me. Part of this journey has been making peace with the understanding that I don’t need other people to agree with me. My truth is my truth. A gift of growing older is that I’ve learned more, experienced more and met others who comfortably live their truth. I examine what I think and why I believe a particular thing… and sometimes change my mind. I believe in cooperation, collaboration and finding ways to work together. I think the ways we can come together are more important that the reasons that keep us apart. I also believe that we all just want to be heard, appreciated and loved. 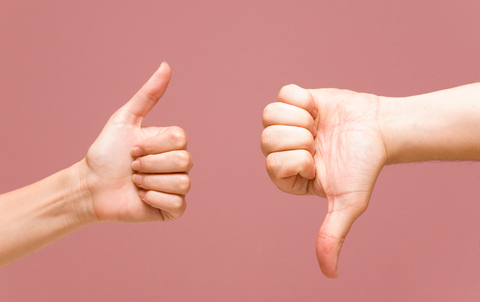 I’m working with a couple of business collaborators on a tele-seminar around approval that was sparked from the Seth Godin quote at the top of this post. We aren’t sure how this will all come together, but we are excited about exploring the topic. I’ve also posted a question on LinkedIn if you would like to leave your comments there and see what others are saying. Today is the 7th day of the new decade and the year of my Personal Peace and Play Project. I’ve given up goal setting in the traditional sense. I’ve decided instead to focus on what I want from life and “play” my life as a game of improv instead of trying to map it all out. Staying more present in this moment and choosing my next action from what is actually happening instead of what I expect to happen. Moving toward what feels like fun and where my passion and enthusiasm can create the greatest impact. A water crystal after the word peace was written or spoken over it. So, instead of focusing on wanting more money, I’m focusing on having peace with whatever prosperity I have. I’ve had times in my life when I’ve had a cushion of money in the bank and have still been anxious about losing it and about making more. The gift of not having that cushion now is that I am forced to focus on what I want from money anyway. I want peace around having $10 or around having $10 Million. Hence, my Personal Peace and Play Project. I’m experimenting with ways to focus, which includes Days of Gratitude. Another action I’m taking is writing “PEACE $” across the solar plexus area of my chest with a marker each day. When I get anxious, I feel it in my chest. The first time I wrote this was a few nights ago just before bed, when I had felt anxious many times through the day. That night I slept all night without waking up (a very rare occurrence) and slept until almost 8am (an even rarer occurrence)! And there is research to support my marker. 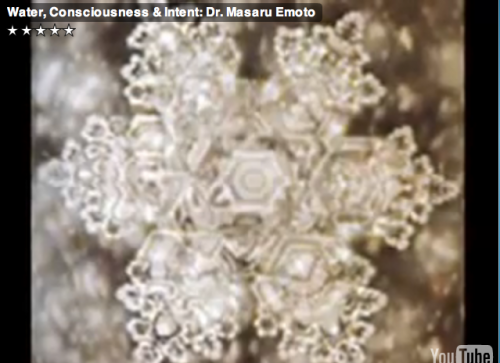 Dr. Masaru Emoto’s work includes extensive research around writing words or speaking words over water crystals and photographing how they change depending upon the words. And, since my body (and yours) is almost 60% water, it just makes sense to me that my marker-ing can only have a positive effect. Here is a video showing a variety of water crystals, including PEACE. More on Peace and Play to come this year. I would love any ideas you have and what things you do for fun and peace. It has been raining in Atlanta. That was an understatement as a few weeks ago flooding was extensive throughout the city. This in a state (Georgia) that has been in drought conditions for the past 4 (maybe 5) years. This photo was shared by several folks in my Facebook community. I thought it was particularly poignant in illustrating that we go through seasons of our lives, and things are always changing. All this happened at the Jewish New Year, Yom Kippur, which my Jewish friend says is a feasting holiday to balance out the fasting times during the year. I’m grateful to have come through a “fasting” season in my own life and moving into a “feasting” season. I’m giving more attention to the things in my life that make me happy, that make me laugh, that help me feel part of a bigger picture. I’m giving less attention to the things that make me feel scared, sad and alone. I’m having faith that I am well cared for and I don’t have to do it all myself (well, part of the time anyway)! I truly believe that the energy we put out come back to us… multiplied! So gratitude is a big part of my future well-being plan. I’m grateful for the rain and I’m grateful for the clear skies with sun. A season for everything. Today is 09.09.09. My friend Carolyn suggested 9 as a theme for today (which I read just before 9am!) So, here are nine affirmations for my day and my life. 1. I do work that I love, working with and for people I really like, making more than enough money to play, to pay and to give away. 2. I am an instrument in the hand of God. 3. I embrace life, I radiate energy, I make connections. All my good expands and circles back to me in many forms including money, creative work, supportive relationships, great health and more. 4. I play. I laugh. I learn. I love. 5. I am willing to love and approve of myself just as I am. 6. I am willing to release the need for approval from others. 7. I am willing to be still. 8. I am willing to let things come to me easily. 9. I am willing to trust myself and my internal guidance. Many thanks to Carolyn for this suggestion. What are your nine affirmations for today? 3. The love and support of my family… you are the best! 5. My friends… the absolute coolest people! 10. All of my senses… grateful for the full experience! 19. I could have an entire list of foods! Grateful that I have easy access to a wide variety of healthy and delicious food. 20. Clients that love to hire me, are fun to work with and pay quickly! 21. God Winks, the synchronicities I encounter ALL THE TIME! 30. Beauty products including Hydrating Gel from Mary Kay, Ginger Rush body lotion from Origins and White Citrus cologne from Bath & Body Works. 36. So You Think You Can Dance and Dancing with the Stars… so fun to watch! 37. Reading… so many books, so little time! 40. My grandmothers. Strong mountain women who loved their families and raised great kids who became my parents. 42. Learning about our magnificent bodies. What a miracle in how our body functions and repairs itself. A few years ago, I read a book where the author used the analogy of a top spinning. If it was balanced, it could spin incredibly fast and stay centered. If the top was the smallest bit off balance it started to wobble and lose momentum. Through this year, I’ve started to trust my inner sense of knowing to a greater degree. There is a phrase, “don’t push the river.” I got too tired to keep pushing the river and fighting upstream toward a goal that I wasn’t reaching. Amazingly, this easier flow of life is so much more simple and enjoyable. It is such a blessing to realize that the job of “Manager of the Universe” really is not mine to perform. • Getting it out of my head. I’ve had private journals for 15+ years. Truly “writing my heart out” is still reserved for notebooks only I will read, but I’m finding that others enjoy my ramblings with my entry into the world of blogging. • Spending time outdoors always clears my head, eyes and heart. I love to walk at the park or in the woods…and the beach whenever I have the opportunity. That time outside helps me appreciate the beautiful world around me and often sparks ideas. • Laughing with friends. This has a magical effect of letting me feel the hand of God on my life. I’m so grateful to all the people who laugh with me and share their quirky perspective of life. • Massage… giving or getting. I took a massage certification course in 2002 and find that when I focus while giving a massage, it becomes a moving meditation. And being on the receiving end helps me appreciate what a wonder this body is and how easily it can remember what relaxation should feel like when I just let go and allow it. • Prayer, affirmations and meditation. I’ve discovered the power of using a mala this year and I’m amazed how centering this “reminding” tool can be for me. I’ve used my mala with prayers, one bead per person, and with affirmations, repeating each affirmation a bead at time, through a section or the entire 108 beads. My birthday is near the end of August and I often make commitments on that day. (Last year I got married on my birthday!) I hope to remember more often what balance feels like during my next trip around the sun. I will encourage my “take control self” to “lighten up!” When life gets a little wobbly, I’ll do a few simple things to bring myself back into center. And sometimes, falling down is the best way to start over. Here are some of the foods I’m looking forward to enjoying on my visit later this week. We may not make it through all of them, but we will give it a “Good Eater” try. Blueberries. Plump, juicy and warm off the bush. Blueberry Hill is a pick-your-own blueberry farm near my folks and blueberries are in season. Mom and Dad pick and freeze berries to use all year and I’ll get to eat LOTS of berries while I’m home. We plan to pick on Thursday and I will try to put more in my bucket than my belly, but there is no guarantee! And, come to think of it, I did have a photo of blueberries on my Vision Board I made at the beginning of the year. Cabbage Rolls. Just a perfect blend of cooked cabbage leaves stuffed with spiced ground beef along with some tomatoes and onions. There are always leftovers that just get better as the ingredients marinate together. Lean Cuisine has a frozen cabbage roll that Ben and I like for a quick dinner, but nothing holds a candle to my mom’s made from scratch version! Chocolate Chip Cookies. These come from my Aunt Doris and they truly are spectacular. The last few times I’ve been to WV, she has come to my mom’s with the cookie dough and baked them while we visit. Then I get to eat some of the raw cookie dough (yummmm) and hot cookies right from the oven. I have a hard time hitting my “I’ve had enough” button when it comes to Doris Ann’s chocolate chip cookies! Bring on the stretchy pants! I could go on and on. Suffice it to say, I do enjoy a wide variety of food and LOVE it when someone else cooks it! What are some of the foods you love? • Anything in the “post-it” product line. I am a power user of post-it notes. LOVE those post-it flags to mark poignant quotes in the books I’m reading. And the big post-it flip charts are a thing of beauty. You can brainstorm with a group and easily put the sheets on any available wall space so everyone can be reminded of their brilliance… and the thoughts on the way to brilliance. • Oil-free Hydrating Gel from Mary Kay. That was the product that tips the scales for me to become a user of Mary Kay cosmetics. It is lovely stuff that makes my skin feel moist and fresh with adding more oil. (I make plenty on my own, thank you very much.) And it is purple, my favorite color!! • Chafing Relief Powder Gel from Monistat. God in His infinite wisdom, made my thighs so they rub together, regardless of how skinny I am. (A little skinnier now than I’ve been for while.) This stuff keeps my inner thigh skin from getting irritated when I walk or run. Truly a miracle! • Good Cat! This is made by Pet Organics and is just the thing to take the edge off of my little Cleo’s anxiety. It says it is “for cats that are finicky, unfriendly or territorial.” The back of the bottle says “helps balance the emotions of pets with behavior problems.” It definitely helps!! So, any faves you want to share?